Messi’s ex-team mate Neymar, now at PSG turning over teams of farmers in Ligue 1, came third, but the Ballon d’Or, once again, was only ever about two particular players. Since 2009, Messi and Ronaldo have been the only two players to win the award. Ronaldo pipped Messi to it this year after helping Real Madrid claim their first La Liga title since 2012, as well as retaining their Champions League trophy for a second consecutive year. 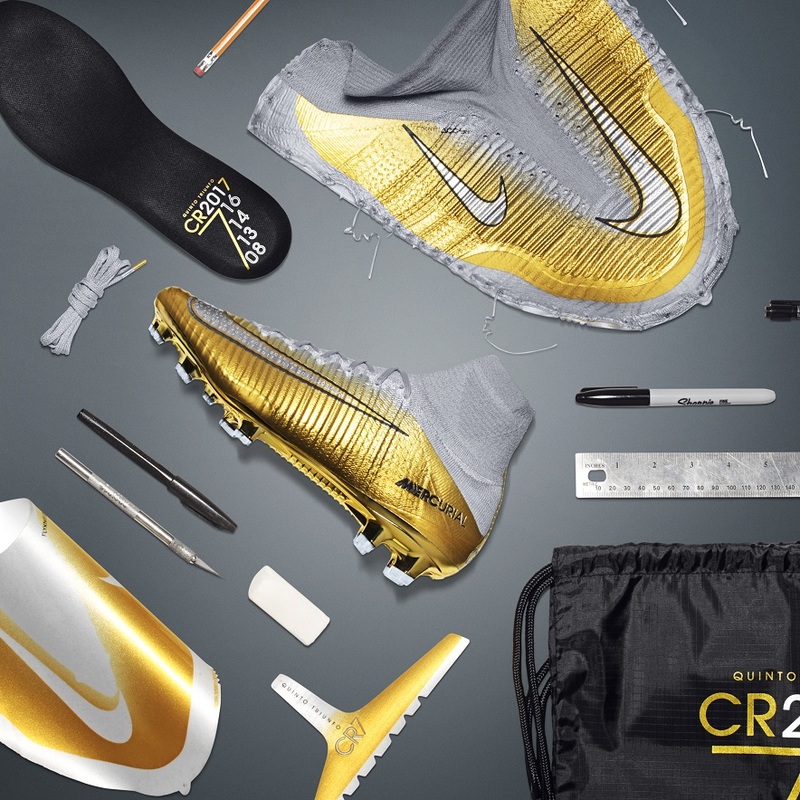 Nike have been preparing for the eventuality of Ronaldo walking away with the Ballon d’Or by presenting him with special edition Mercurial Superfly CR7 Quinto Triunfo boots. What better way to celebrate than with gold; Ronaldo loves his gold! And why break tradition? The past award-themed boots have all been predominantly gold. The new Mercurials are no different, and their gold and white colourway are suited for a winner. Differing from previous boots, the “CR7” now appears on the heel counter instead of the medial side. The 32-year-old is still so fast, designers obviously feel that the heel is the best place for others to check out the infamous logo. With the “CR7” moved to the rear, plenty of space is freed up for the inclusion of a special Nike swoosh adorning both sides. 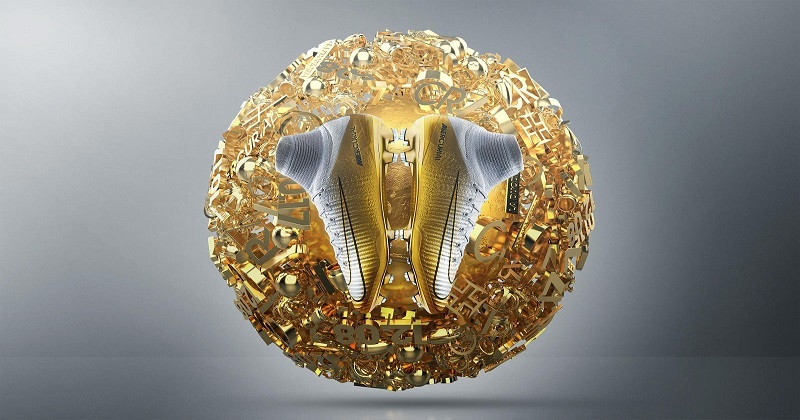 Within the swoosh, and through movement, you can see the years of his past Ballon d’Or wins: 2008, 2013, 2014, 2016 and 2017. We don’t know how they found so much space to include so many accolades. You can check out these bad boys in action when Ronaldo steps out in his next game. If you like what you see, one thousand individually numbered versions of the Quinto Triunfo will be available from December 14. At FOOTY.COM we compare the best prices for the Mercurial Superfly CR7 Quinto Triunfo football boots. Find the best deal here today by comparing prices from the biggest online retailers! Ronaldo. Neymar. Mbappe. Made for the most adventurous, ruthless players on the planet, the next chapter of the Nike Mercurial has finally been written. It’s time to steal the spotlight.